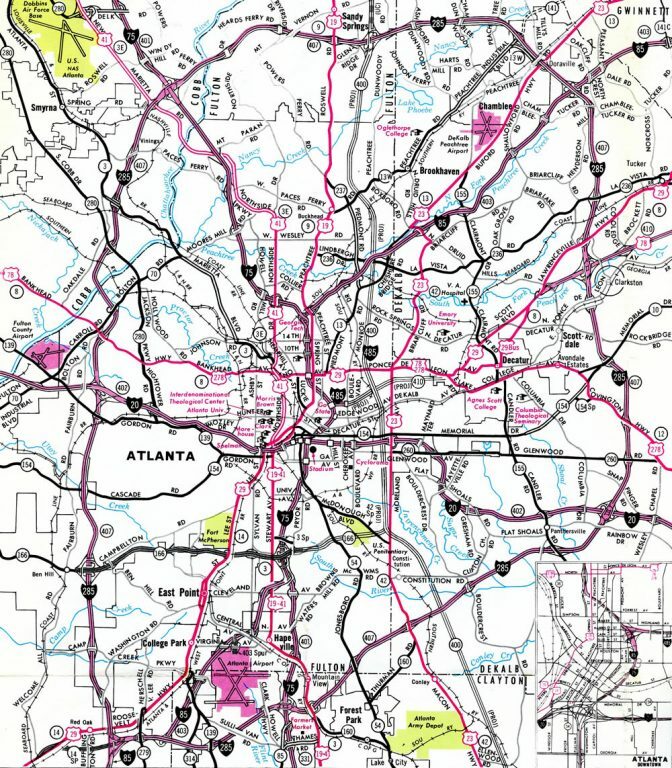 The initial proposal for Interstate 485 was an east-west alignment from the Downtown Connector (I-75/85) to the Perimeter Highway (I-285) at the Stone Mountain Freeway. The corridor was numbered Georgia 410, one of the Georgia 400 series applied to every Interstate highway assigned within the Peach State. The Stone Mountain Freeway (U.S. 78) branches east from U.S. 29 (Lawrenceville Highway) to Interstate 285 and Rockbridge Road near Stone Mountain Park. The portion west to Downtown was never constructed. 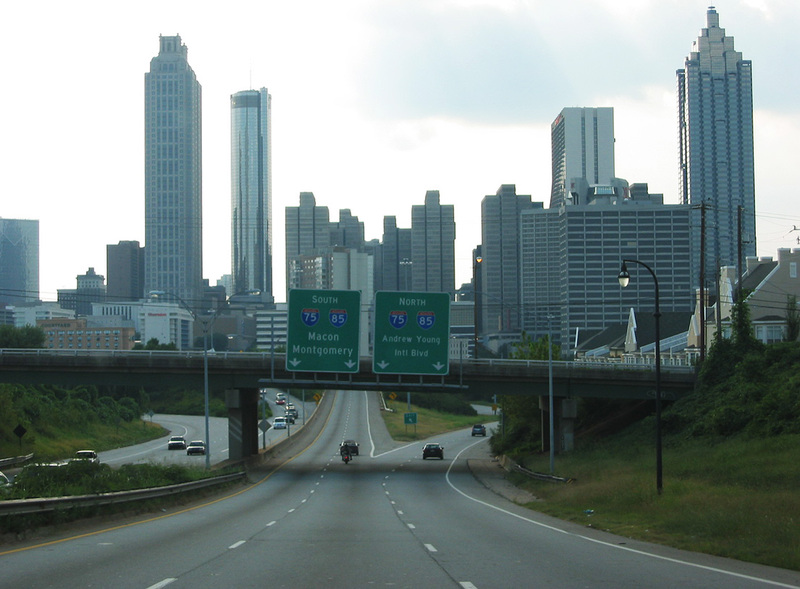 With the Stone Mountain Freeway canceled west of Lawrenceville Highway, I-485 was reconsidered as a connector between I-75/85 at Downtown Atlanta and the proposed Georgia 400 freeway extending north from Interstate 675 in DeKalb County. Georgia 400 south to I-285 was eventually dropped along with the western Georgia 410 corridor for I-485. 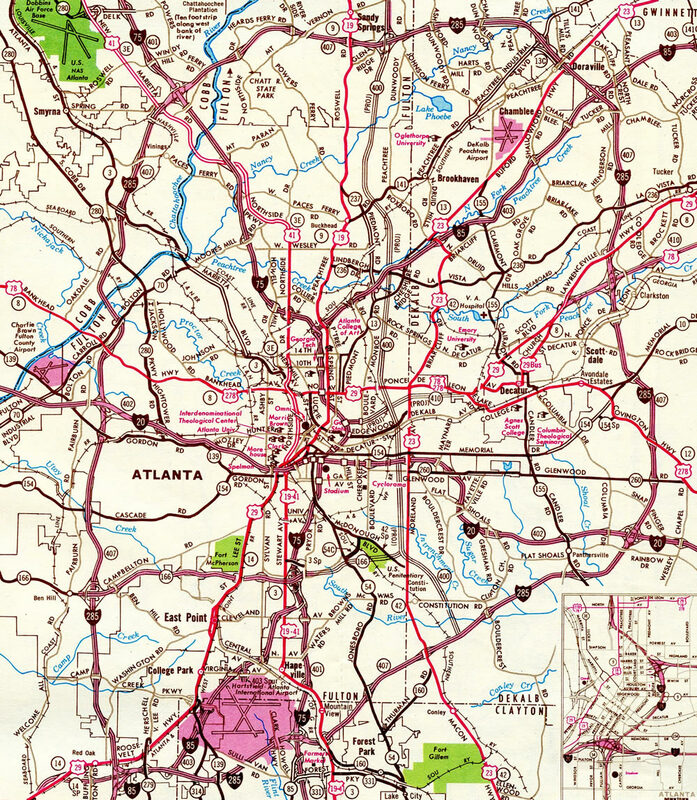 AASHTO approved the northeasterly loop of Interstate 485 between the Downtown Connector and I-85 near Lenox Road on June 30, 1970. Following community opposition to the freeway, the route was subsequently eliminated by AASHTO on June 17, 1975. The short freeway spur east from the high speed interchange with I-75/85 to Howell Street was the only section of I-485 ever constructed. It was later renumbered as Georgia 10. 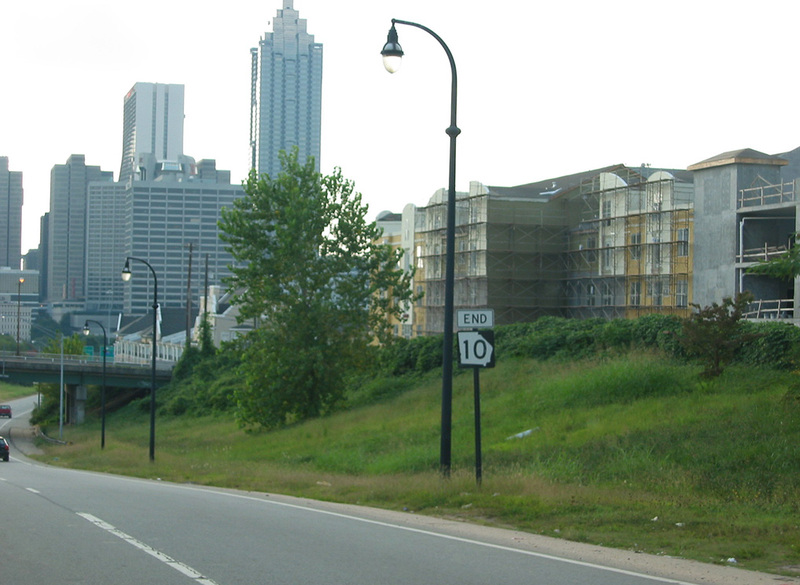 Construction of Freedom Parkway (Georgia 10 / Georgia 42 Spur) in the early to mid 1990s utilized a portion of the former I-485 right of away. The ramps from Boulevard west to I-485 and from I-485 east to Howell Street were removed. The overpass at Boulevard was replaced with a signalized intersection as well. 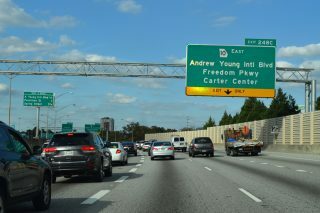 The at-grade, controlled access parkway links with the Jimmy Carter Presidential Library and Museum, U.S. 23 (Moreland Avenue) and U.S. 278 (Ponce De Leon Avenue). I-485 shields were dropped from the Georgia Official Highway map by 1976, but the planned route north to I-85 and east toward Clarkston remained as state routes. 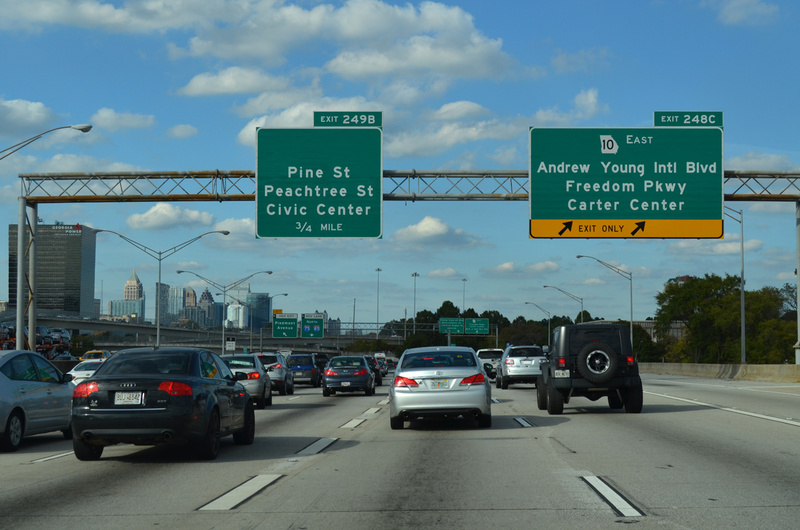 However neither of these freeways, nor the eastern extension of Georgia 166, were ever built. 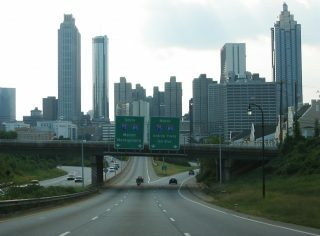 Interstate 485 was shown on the short Georgia 10 freeway spur at Downtown as part of its planned loop northward through Atlanta in 1970. This variant of I-485 would have tied into an extension of Georgia 400 projected southward from I-85 to I-75 at Stockbridge. 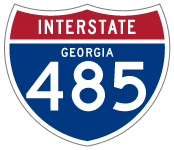 Only the Interstate 675 portion from southwest Dekalb to Clayton Counties was built. A multi level interchange (Exit 248C) joins the Downtown Connector with the west end of Freedom Parkway (Georgia 10). 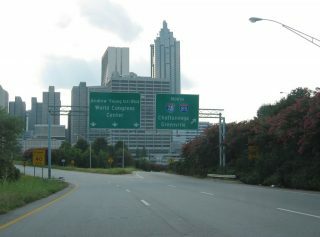 Ellis Street east and Andrew Young International Boulevard west ties into the exchange from the west. Photo taken 10/22/15. 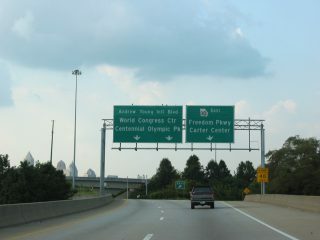 I-75/85 north at Exit 248C, the former Interstate 485 spur east to Boulevard. Photo taken 10/22/15. Exit 248C partitions into a high speed ramp for Georgia 10 (Freedom Parkway) east and an at grade intersection with the ramp from Ellis Street eastbound for Andrew Young International Boulevard. Photo taken 08/22/03. Taken down in 2016 during construction to expand the intersection with Boulevard, an end shield for Georgia 10 stood just of Jackson Street. Photo taken 08/22/03. 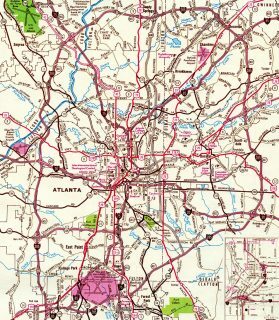 Georgia 10 (John Lewis Freedom Parkway) partitions into ramps for I-75/85 south for Macon and Montgomery and north for Chattanooga, Greenville. The Jackson Street overpass is the lone portion of I-485 remaining beyond the approaching systems interchange. Photo taken 08/22/03. 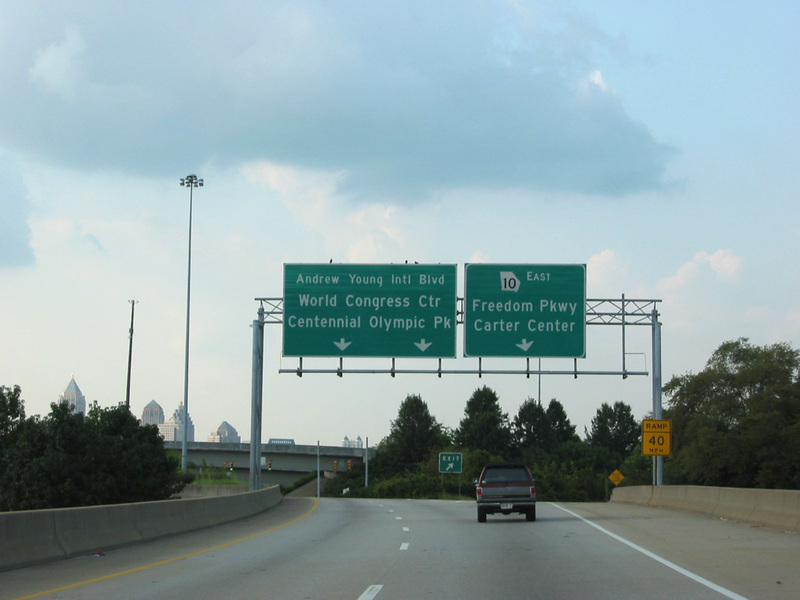 The northbound ramp for the Downtown Connector (I-75/85) splits with Andrew Young International Boulevard west to Centennial Olympic Park and the George World Congress Center. Photo taken 08/22/03.